The new beverage is the latest in the brand’s matcha-themed drinks range. 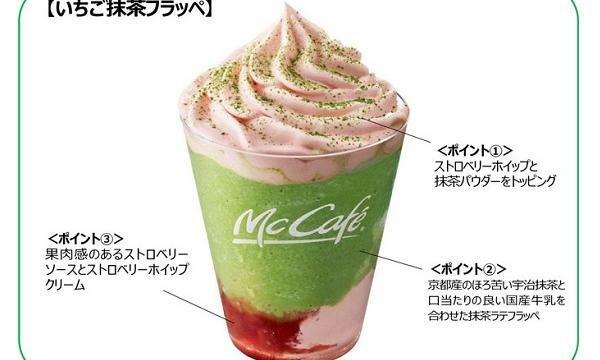 McDonald’s Japan has released their new limited-edition Strawberry Matcha Frappe. The offering features bits of strawberry whipped cream and strawberry syrup at the top and bottom layers drizzled with matcha powder. Other items of the fast food chain’s matcha-flavoured series of drinks include Kuromitsu Kinako Matcha Frappe and Matcha Latte Frappe and Matcha Latte.